Microsoft has released a statement proclaiming support for Vista from security providers. The rosy statement cites suppliers - including Symantec , McAfee , Kaspersky and Panda - as being "committed to delivering fully tested and compatible versions of their consumer and small-business security solutions by 30 January". Vista's release date is, of course, 30 January. The most notable enthusiasts are McAfee and Symantec - the two companies that made the biggest arguments against the security provisions that ship with Vista as standard. Bill's boys are at pains to point out they have "worked closely" with security partners throughout "to provide technical support resources, access to application testing and compatibility labs, and developer training and certification programs". "For years, independent security developers have partnered with Microsoft to ensure that customers have the safest computing environment. "However, all that seems to have changed with Vista, because Microsoft is denying computer security companies access to Vista's underlying technology." 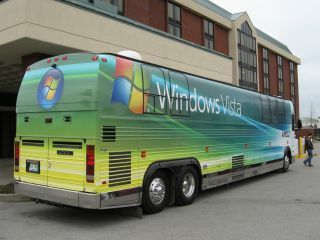 Microsoft subsequently sought to dispel any Vista security arguments with European Commission-prompted amendments to the Windows Security Center and PatchGuard elements of Vista.